Baw Baw Sansou is a box of surprises in a great location in the centre of Hirafu. 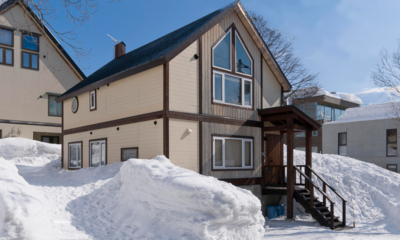 Baw Baw Sansou is a well-designed modern ski resort chalet just 50m from Hirafu Ground Zero – ie the traffic lights marking the centre of the village. While it’s in the centre of all the action, it’s a beautifully comfortable place to come home to and relax… before getting outside again for après! There’s no better place to take advantage of all the on-and-off mountain activity Hirafu has to offer! 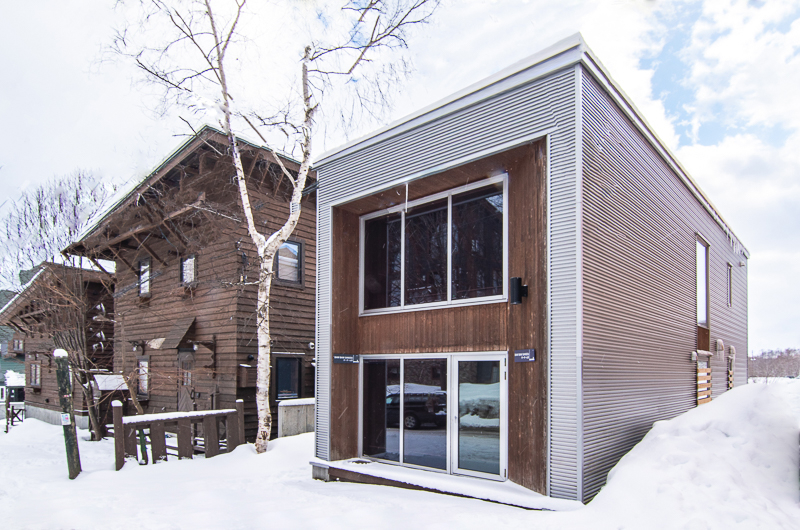 Built in 2008 by Hokkaido Tracks – one of Niseko’s premier modern developers – it’s been cleverly designed for Niseko ski resort holidays. From the front door “genkan” entrance where you leave your boots through to the bedrooms, there’s plenty of space for storage and places to hang your jackets and scarves, leaving plenty of space inside for you to feel relaxed and uncluttered. Complete with contemporary modern furnishings, the open-plan living and dining areas soak up natural light from the large windows, creating an excellent atmosphere to unwind and relax with friends or family at the end of a day in the snow. 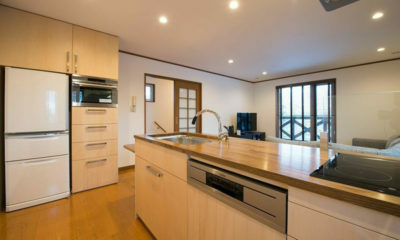 The kitchen is full equipped with European appliances including dishwasher, making preparing food and cleaning up a breeze (if you ever need to in this culinary hotspot!). 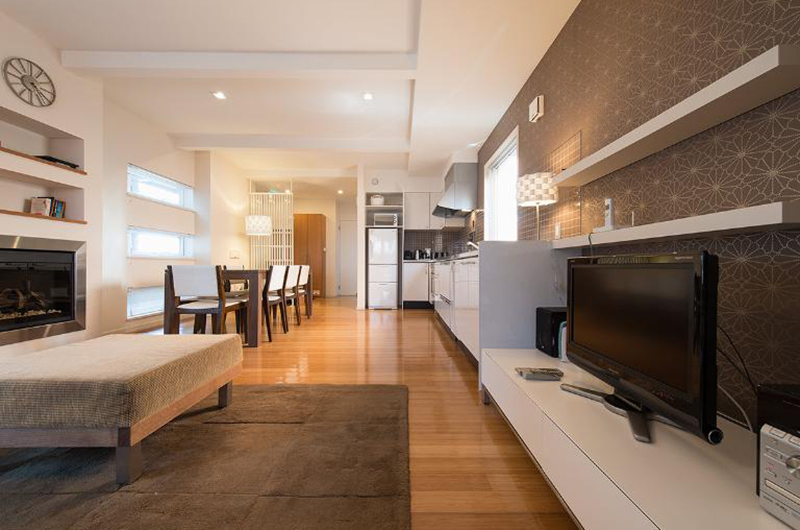 Baw Baw Sansou sleeps up to eight people in its 3 bedrooms. 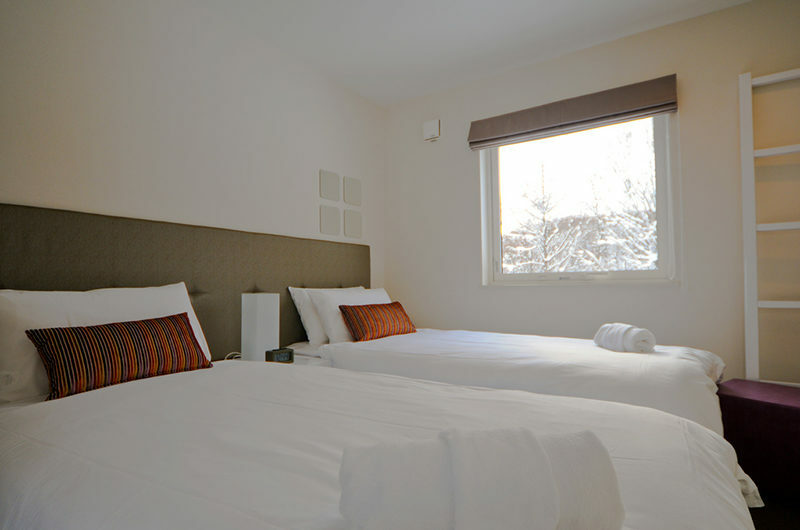 Each bedroom can be configured with either a queen bed or twin singles, and one bedroom also has a bunk bed. 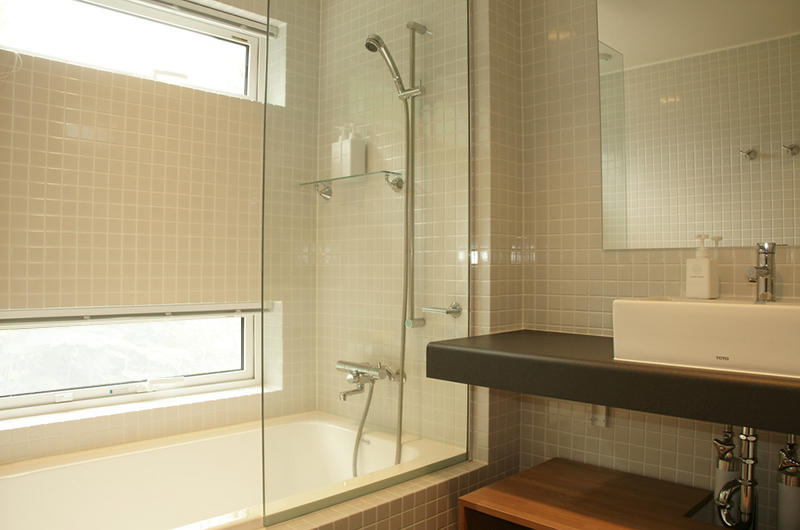 There are two bathrooms – one on the ground floor living level, and one upstairs alongside the bedroom. 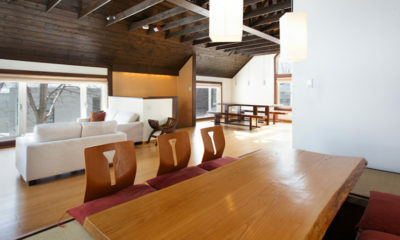 The house comes with wireless internet, satellite TV and a DVD player. 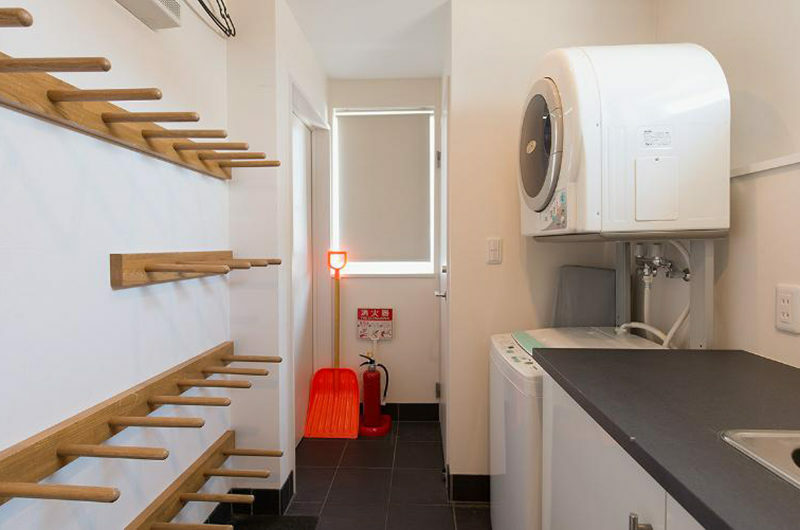 There’s a ski locker at the door that doubles as a drying room and laundry with washer and dryer. There is a car parking space for one car. This is the largest bedroom and looks out over the new Aruku-zaka Street development. It can sleep four with the extra bunk bed for an additional fee (see “Extras” below). This bedroom is between the other two and has one window and a closet. 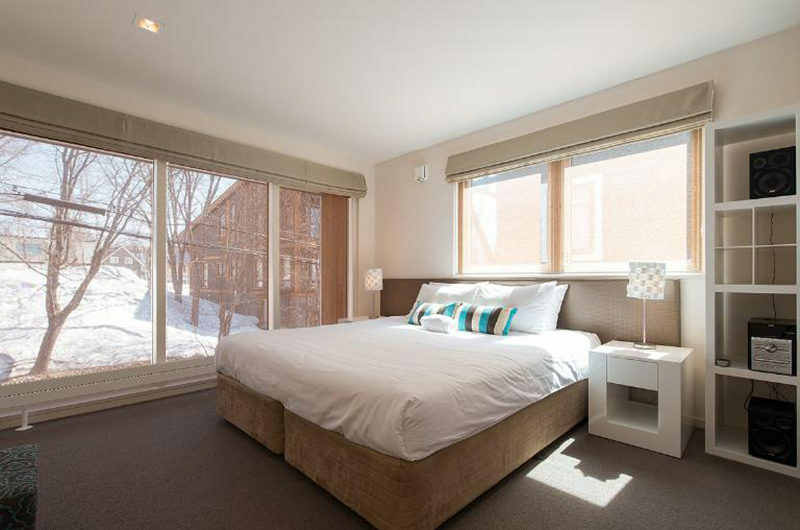 This bedroom is at the front of the house overlooking the street and has windows on two sides. Baw Baw Sansou is located 100m from the very heart of Niseko – the Hirafu crossroads. It’s a busy, crowded part of the village with lots of pedestrian and vehicle traffic, restaurants and bars. There’s also shops, rental stores and the all-important Seicomart convenience store for all your daily grocery and alcohol requirements just beside the intersection. Most important of all, the ski lifts are just 100m from the traffic lights is the family lift. Beginners can spend their day here, and more advanced skiers and snowboarders can jump on the lift to get further up the hill. If you want to get first tracks up high though, you’re either going to need to walk about 500m uphill, or jump on the free shuttle bus to the Ace Quad or Gondola – the closest bus stops are 100m up or down hill. If you like eating, drinking and having a good time, this is a great spot to position yourself. There are bars, restaurants and cafés beside you, across the road from you and all around. Within 200m there is probably 50 restaurants and bars to choose from – just set off on foot and see what you can find! Or if you want a specific place across the other side of the village, jump on the free village shuttle. Please note all information provided is representative and subject to change. If there are features or services that are imperative to your stay, please contact us before booking. 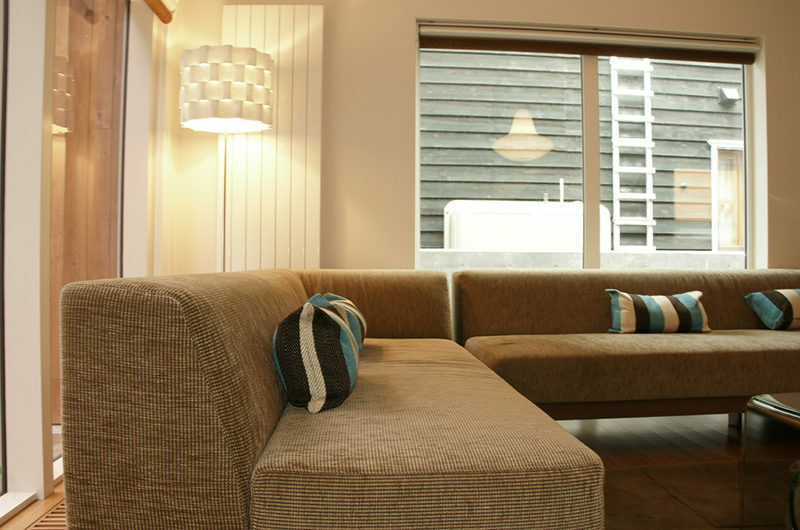 Seizan is a stylish, modern townhouse chalet for larger groups of family and friends. 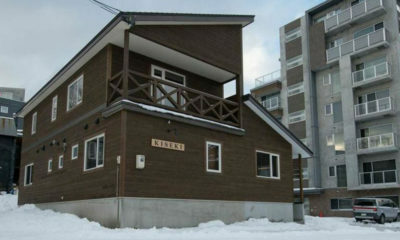 Kiseki is a cool little set of cottage apartments in the heart of one of Hirafu’s entertainment hotspots. 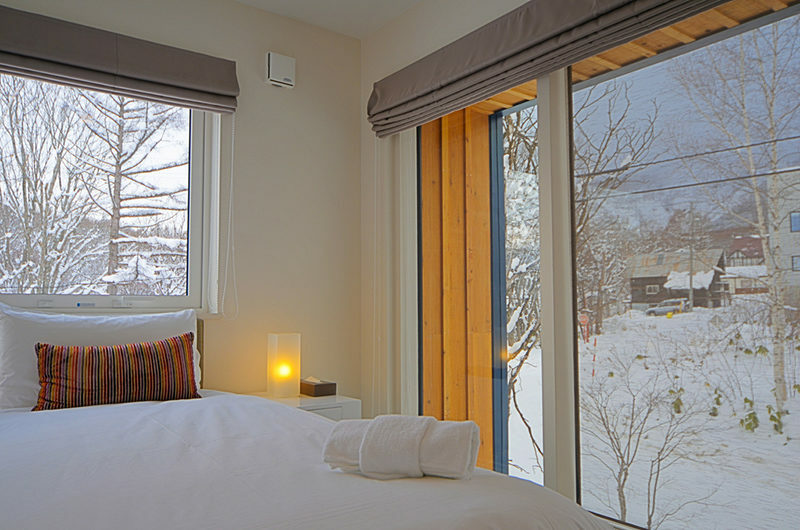 Ginsetsu fuses traditional and modern Japanese design resulting in one very cool little Niseko chalet.